Right now Connecticut faces three challenges: the need to strengthen our economy, the need to stem the impacts of climate change, and to ensure that consumers are protected. The good news is that we have a track record of leadership when it comes to tackling these multi- issue challenges. The following are some of the issues we are pursuing as a part of our special campaign to build on past victories and to reverse harmful decisions made at the state capitol. Lawsuit Filed Against Connecticut for Budget Raids on the Clean Energy and Efficiency Funds. On May 15th, CCAG, other advocates, environmentalists and energy businesses united to sue the state for an unconstitutional seizure of $155 million in ratepayer funds to plug last year's budget gap and to prevent future raids of the funds. Last year the State of Connecticut decided to take $155 million in funds paid by residents on their electric bills for specific energy efficiency and clean energy services for ratepayers, and used it to plug an unrelated budget hole. 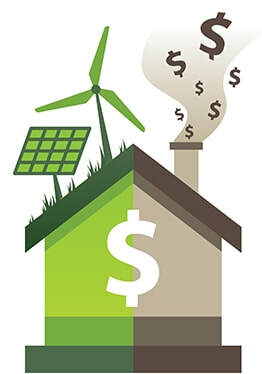 We believe the state’s action is illegal and unconstitutional and are demanding these funds be protected and used for their intended contractual purpose: energy efficiency and clean energy projects that reduce home energy bills, generate economic activity, and reduce air pollution. The energy programs, funded through portions of ratepayers' electricity bills, reduce the state's electricity demand, stabilize the energy grid and help residents finance home improvements, including solar installations. If the funding sweep is upheld, almost 13,000 homes will miss out on energy assessments, weatherization and energy bill savings in 2018. The sweep also jeopardizes more than 6,800 jobs; the U.S. Dept. of Energy estimated last year that the state’s efficiency programs have created close to 34,000 jobs. wrongfully converted for general revenue purposes. Join the CCAG E-list to be kept updated on the progress of this suit. Out of Control Utility Power - The Pipeline Tax. CCAG and allies are demanding Eversource drop a requested 16 percent rate increase for natural gas, noting the electric company is already reaping profits from new federal tax breaks and doesn’t need a costly price hike. Connecticut consumers who already pay more than 20% higher than the national average cannot afford to spend $49 million more for natural gas next year – on top of any additional increases in overall rates which may occur. Eversource has already had millions in annual tax breaks handed to them in the form of a massive tax cut recently approved by Congress which more than offsets the requested need for another rate increase to improve gas lines. Any ratepayer funds used for safety related infrastructure improvements should be allocated from a separate account that allows PURA to closely monitor such expenditures to ensure all funds are appropriately spent, not handed over to Eversource. If Eversource does not back down on the gas rate increase request, CCAG members and allies will take our opposition to PURA (Public Utilities Regulatory Authority) when the public hearings are scheduled this summer. ​Senate Bill 9 Titled “CT’s Energy Future,” passed but CCAG Opposed. Although it did do some good things, we could not fully support this bill because it placed caps on some commercial solar and failed to include net metering. Net metering allows consumers/producers who generate energy through renewables in order to sell excess energy into the grid for universal access. This is essential in order to encourage consumer investment into Class I renewables, without which humankind faces a very limited future indeed. While the bill expanded the state’s Renewable Portfolio Standard to a 40 percent mandate by 2030, set of numerical goals for Class 1 renewables, and expanded offshore wind options, it also included counterproductive provisions that would significantly harm the state’s rooftop solar market, and represents a major win for the Koch Brothers and big utilities. While there were some other positive aspects such as an extension of incentives that help struggling home-grown solar businesses and continued growth of Shared Solar, they do not make up for gutting net metering on solar energy and placing limits on some commercial solar. The Attack on Development of Solar. Senate Bill 9 was a major win for large utility companies. The new law will significantly weaken Connecticut’s solar industry and make it virtually impossible to meet the otherwise good increase in renewable goals in the bill. This is a big blow to residential solar installers in the state. The playbook from Eversource here is the same you’ll see from other utilities across the country: push for a big boost in the Renewable Portfolio Standards to tout a move to renewable energy while limiting the incentives for homeowners to add PV to their homes, thus keeping the added renewable capacity under their control (and bottom line). In place of net-metering, consumers would have a choice. One choice would be rates – known as tariffs – and formulas for applying them that would be determined by the Public Utilities Regulatory Authority (PURA). Those unknown factors might be disruptive, if not downright stagnating for the solar industry in the state. Solar owners could also choose what’s known as a “buy-all/sell-all” system, in which a solar owner would have to sell all of his or her power to the grid at a to-be-determined rate set by PURA, and buy back what he or she needs at the retail rate. It would increase certain fees for solar owners and make it difficult, if not impossible, to install battery storage or home-based smart energy systems to help reduce demand. ​These issues, as well as caps on certain commercial deployments, are key reasons for concern and the need to closely monitor future development. Moving forward, we will continue to work with legislative and regulatory leaders to preserve consumer choice, the right to self-generation, Connecticut’s 2,200 local solar jobs, and to restore net metering in the next legislative session.